We are one of largest and professional group integrating manufacture and trading in the production of different types of chemical fibers and yarns. 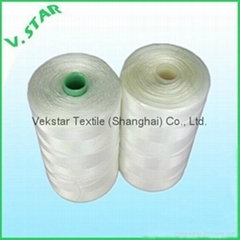 It includes nylon (PA 6 & PA 66) yarns, polyester yarns, polyethylene (HDPE) yarns and polypropylene (PP) yarns. 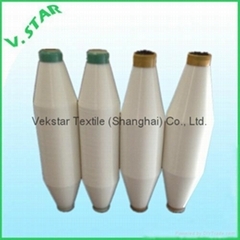 Our group consists of Jinhu Vekstar Chemical Fiber Co., Ltd., Vekstar Textile (Nantong) Factory, Jinway Fiber Industry Group Co., Ltd. ,Yiwu Jiancheng Textile Co., Ltd. , Shanghai Vekway Imp & Exp Co., Ltd., Over twenty years experience in chemical fiber production and exporting, we have been the leading manufacture and exporter in chemical fibers and chemical fiber textile area, enjoying great popularity in the domestic and overseas market. 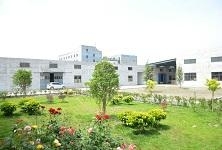 Our main products are as following: A. Series products of FDY monofilament yarns . The material types including nylon 6 (PA6), nylon 66 ( PA 66), polyester (PET), polypropylene(PP) and polyethylene(HDPE)., The low denier yarn is from 6D/1F to 50D/1F produced by high speed spinning lines. The high denier yarns is more than 50D, diameter of them is from 0.07mm to 4.0mm produced by water cooling extruded lines. B. Series products of nylon 6 multiflamet yarn, including nylon POY (pre-oriented yarn), DTY ( drawn textured yarn) and FDY ( fully drawn yarn). The regular denier is from 15D to 100D. The luster includs semidull, bright round and bright trilobal.